Group visits must be made by appointment only. For two decades, Robert Mnuchin has organized critically-acclaimed shows that examine key moments within an artist’s oeuvre, often shedding light on under-investigated bodies of work by the leading figures in twentieth-century art. In addition to mounting exhibitions and publishing scholarly catalogues, he advises some of the country’s most prominent private collections. He is an expert in works by Alexander Calder, Donald Judd, Franz Kline, Willem de Kooning, Jeff Koons, Mark Rothko, Frank Stella, Jackson Pollock, and Andy Warhol, among others. 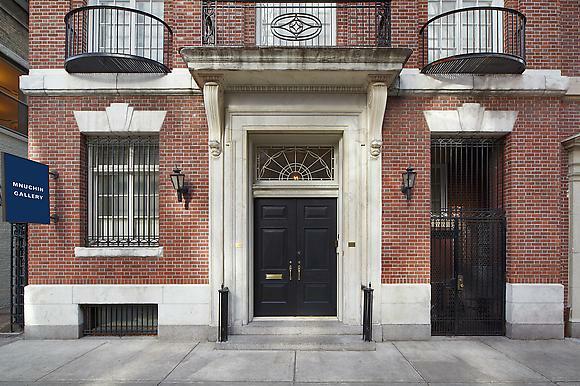 Before beginning his career as an art dealer, Robert Mnuchin honed his connoisseurship as a collector during his thirty years at Goldman Sachs, where he was the partner in charge of equity trading and a member of the management committee. Upon retiring from the financial sector, he opened his gallery in the historic five-story townhouse on New York’s Upper East Side where it remains today. Following successful partnerships with James Corcoran (C&M Arts) and Dominique Lévy (L&M Arts), Mnuchin renamed the gallery Mnuchin Gallery in January 2013. 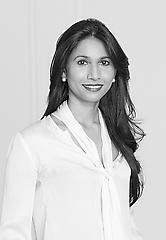 Sukanya Rajaratnam joined Mnuchin Gallery, formerly L&M Arts, in 2008 and became a Partner in 2013. She has curated several of the gallery’s landmark exhibitions since then, including the five-decade retrospective of work by David Hammons in 2016 and a solo show of Sean Scully’s rarely seen early paintings in Sean Scully: The Eighties. Following that, she co-curated a survey of Cindy Sherman’s most acclaimed series, spanning 30 years of Centerfolds, History Portraits and Society Portraits, with Philippe Ségalot. Most recently, in the fall of 2017, she curated Sam Gilliam’s first solo exhibition in New York in nearly 25 years, focusing on his two seminal series, the Beveled-edge and Drape paintings. Other projects include Casting Modernity: Bronze in the XXth Century, co-curated with Dr. David Ekserdjian, and Simon Hantaï: Pliage|The First Decade, a collaboration with former Centre Pompidou director Alfred Pacquement. In one of Mnuchin Gallery's rare forays into the primary market, she also debuted El Anatsui’s latest body of work, Metas, in 2014. Prior to Mnuchin Gallery, Rajaratnam worked at Deitch Projects and in the Post-War and Contemporary Department at Christie’s. Born and raised in Sri Lanka, Rajaratnam earned a BA and MA in Economics from Cambridge University, where she received First Class Honors. She began her professional career in the Investment Banking Division of Chase Manhattan Bank. Michael McGinnis started his career at Richard Gray Gallery and Christie’s before founding the contemporary art department at Phillips in 1999. As the worldwide director of contemporary art for over a decade, he was responsible for establishing record prices for Agnes Martin, Donald Judd, Ed Ruscha, Jean Michel Basquiat, Kazuo Shiraga, and David Hammons to name a few. 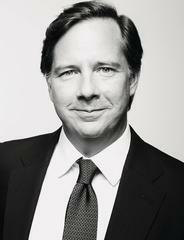 He was a Senior Partner of Phillips, de Pury and Company and most recently CEO and President of Phillips prior to joining Mnuchin Gallery in March 2016. 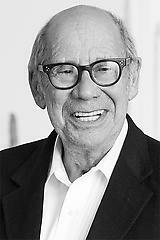 He specializes in Post-War and Contemporary art and is responsible for high level client advisory and sales.